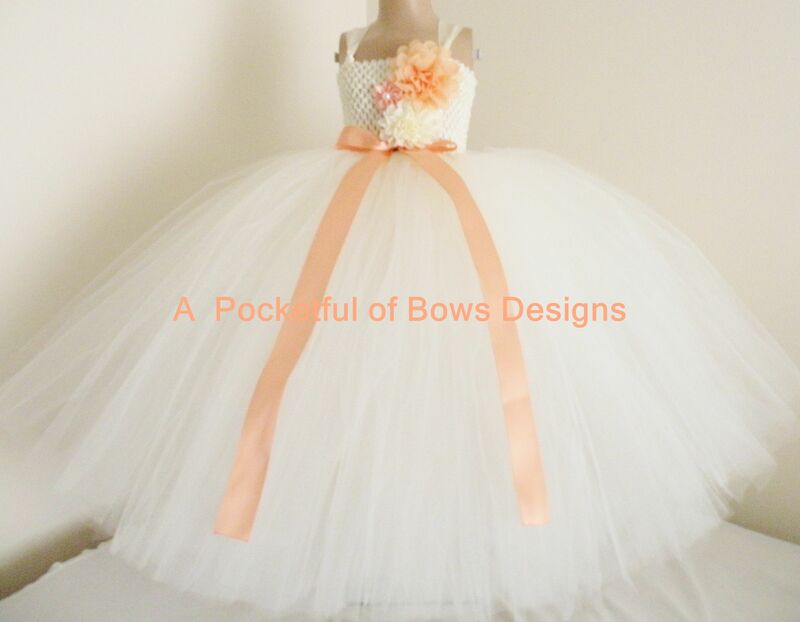 Ivory flower girl dress with peach flower ball gown style. This tulle dress has a fully lined top with satin shoulder straps. 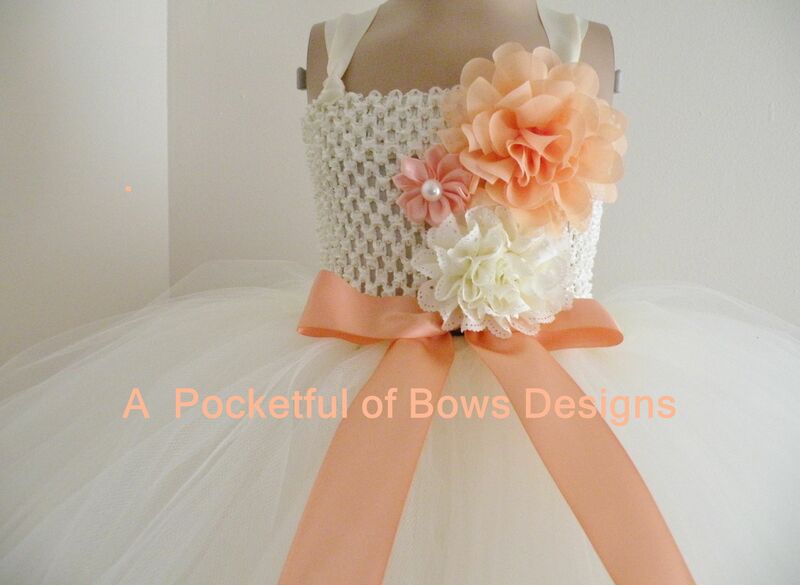 The top has peach and ivory flower with gem center. The skirt is super full and has the added detail of a peach ribbon. Overall length: measure from the armpit down to length needed.